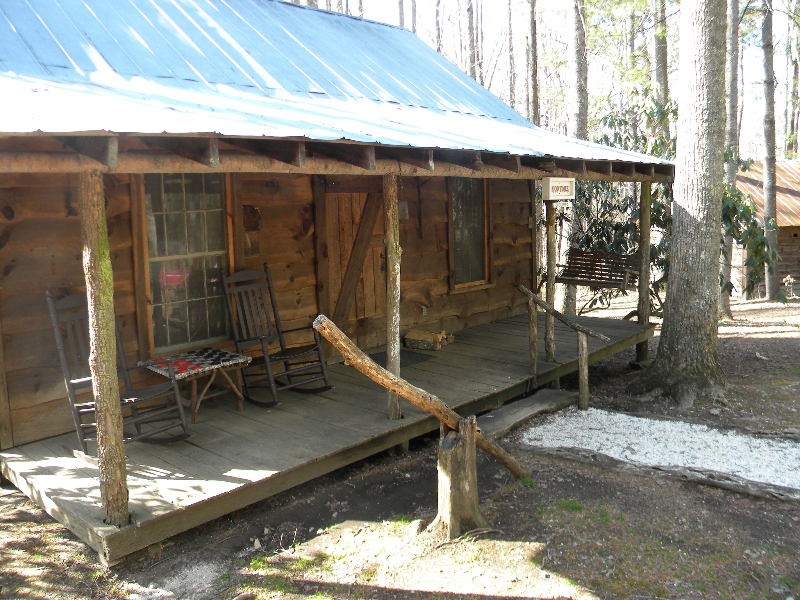 Good Times is a cozy mountain cabin with a covered front porch and screened back porch overlooking a beautiful mountainside view and a tranquil mountain stream. 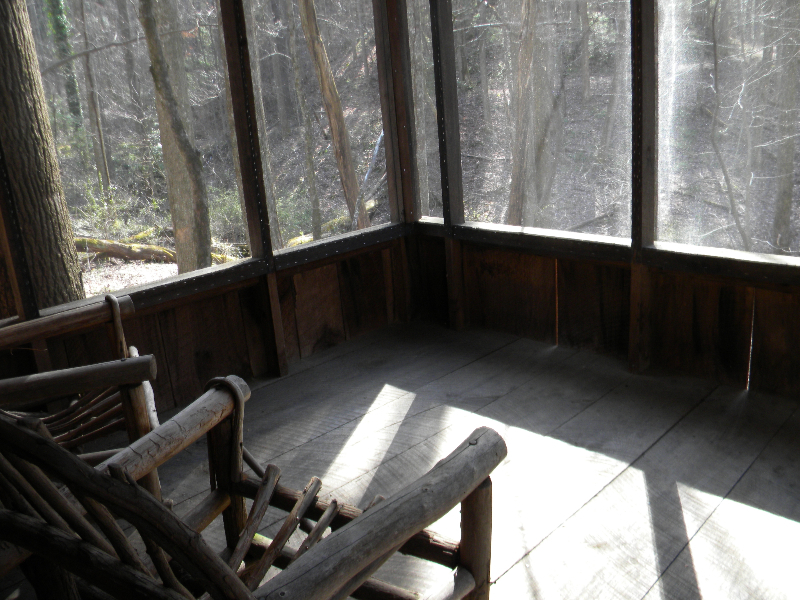 The front porch has a view of the nearby playground, as well as, a spectacular view of the Cabin Fever grounds. 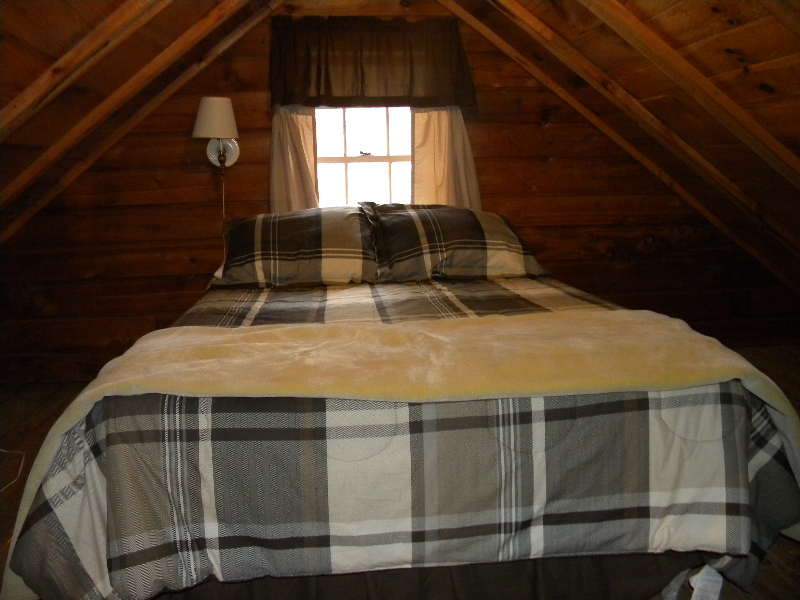 This cabin sleeps 5 people comfortably with a king size bed in the downstairs bedroom and a double plus a twin bed in the loft. 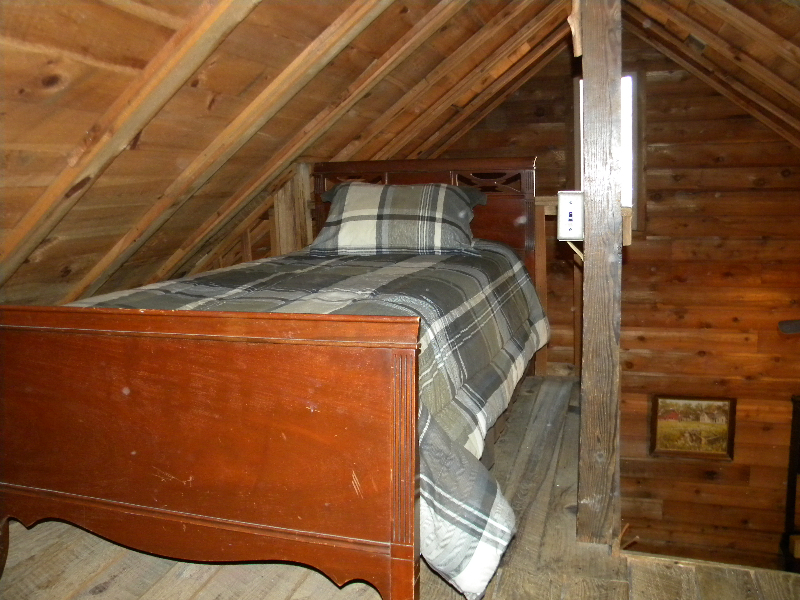 The loft is accessible by a built-in ladder. 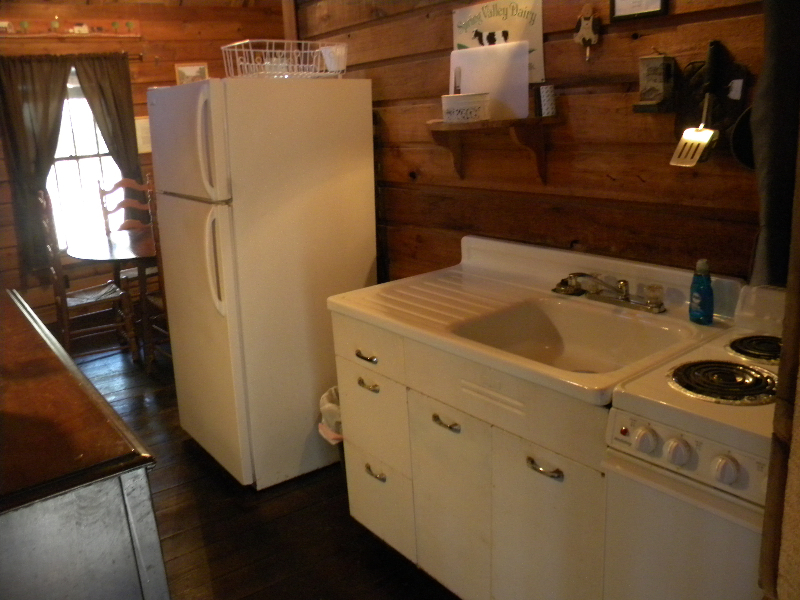 This cabin has a fully-equipped kitchen with fridge, oven, coffee maker and microwave, a buck stove with complimentary firewood, air conditioning unit in the bedroom, electric heat, a charcoal grill, fire ring, television, a bathroom with new shower (48″ wide shower was installed in 2016, and is not shown in this video), as well as ceiling fans in each bedroom and living area. 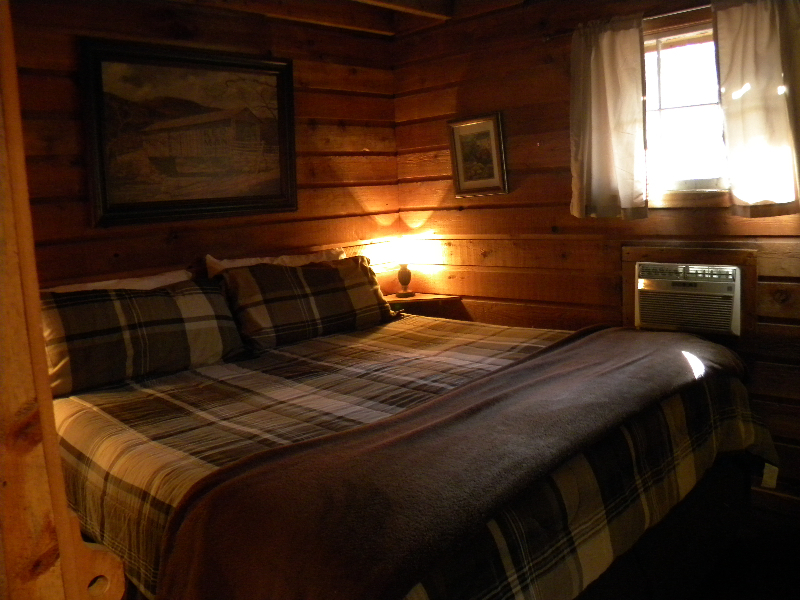 Depending on your time of stay your rate will be between $99-$169 per night. As a first time visitor, and first experience spending the holidays with my boyfriend’s family, Good Times presented the most magical memories. Thank You for creating and having space for all tho enjoy. The playground and zipline were so great for the (adult) kids and the little ones! Playing games at the kitchen table, cooking and doing dishes together, s’mores by the fire, and hammocking on the porch were some of my favorites. Then the magical rain on the tin roof gave us a zen-like last sleep to send us off. Rode the Blue Ridge Parkway then came down the mountain to my favorite place. Nice and relaxing. We enjoyed hearing the rain on the tin roof, as well as rocking, swinging, and reading. My husband and I really enjoyed doing what we call nothing!! The past few days have been great! 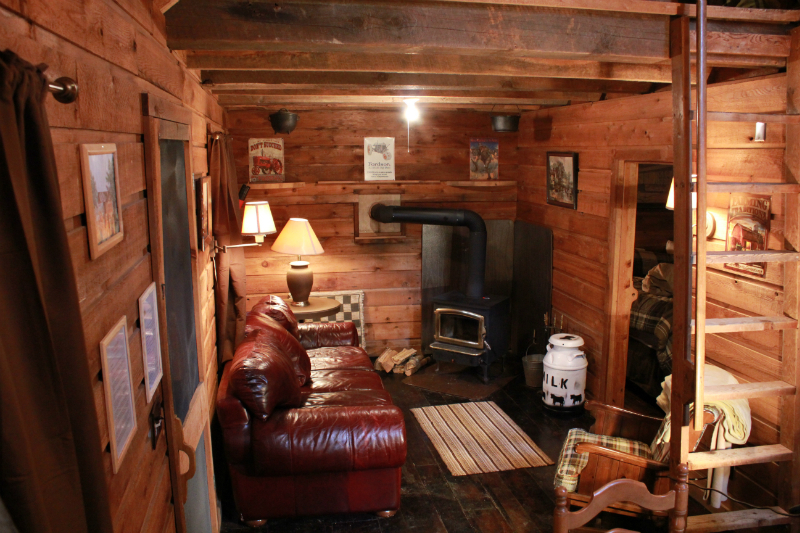 After getting the wood stove going, everything went great. This place is wonderful and we will return… Thanks for having us! We had a lot of fun ziplining at the playground!!! And being here with our friends and family. We had fun hanging out by the big fire! We spent our 30th anniversary at Cabin Fever in Good Times cabin and we also spent our 1st anniversary in the same cabin. It gives us a special feeling that we spent our 30th in a place with love and relaxation. We had an opportunity to visit all the great restaurants and shops in town. The people were so welcoming and friendly. We also went to Mt Mitchell and Mt Pisgah and the Biltmore Estate, as we did 30 years ago.We’ve had a great 30 years and hope to spend many more at this wonderful cabin. Thank you Eric & Dana for your wonderful service. Our family occupied the entire Cabin Fever grounds. 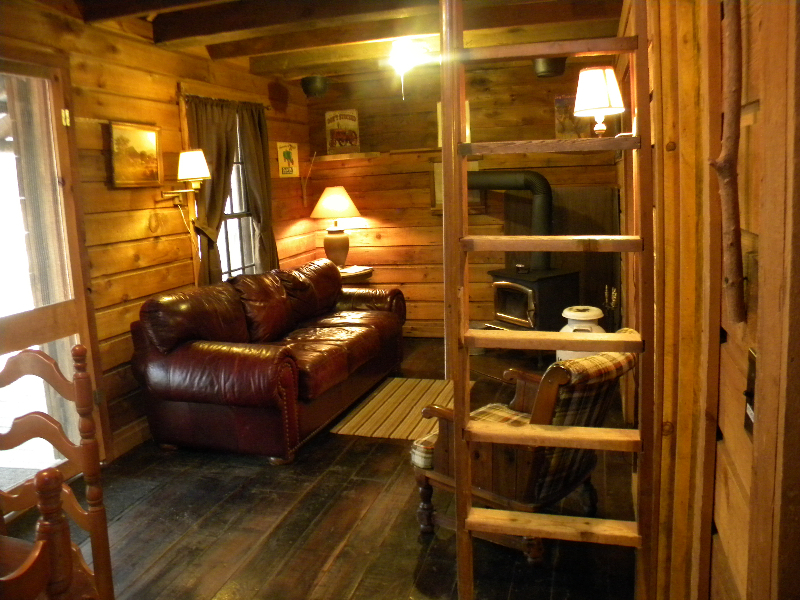 We stayed in the Good Times cabin. The grounds are gorgeous and the staff here superior! Thank you for your hospitality! Loved our family reunion. Second year in a row at Good Times cabin. The place is just awesome as always!